Through K-12 education and career readiness initiatives, the Center for Education and Workforce is dedicated to equipping all students with the knowledge, skills, competence, and opportunities they need to reach and succeed in the jobs of tomorrow. Dedicated to equipping all students with the knowledge, skill, and competence to succeed in the jobs of tomorrow. Globally, U.S. students rank 17th in literacy, 21st in science, and 26th in math. Today’s K–12 education system is complex, and that complexity often leads to students underprepared for the career ahead of them. Our participation in this national conversation involves promoting programs and policies that work to close academic achievement gaps, supporting effective teachers, and providing the education community with the resources and tools necessary to address the education challenges of today and tomorrow. The Business Leads initiative, through its series of programs, is developing business community leaders to help better connect K-12 education systems and students to opportunity. Advised by national experts, leaders participating in these programs, the Fellowship Program and Career Readiness Lab, work hand-in-hand with community workforce development agencies, chambers of commerce, and education systems to develop successful career pathways that are aligned to real opportunity and jobs. Responding to the needs of state and local chambers of commerce, this business leadership program is designed to help address the most pressing education and workforce issues in communities across the country by training and equipping fellows with resources, access to experts, and a network of peers to build their capacity to address these challenges. Through our work, we have identified one primary avenue for new forms of business engagement in career readiness: work-based learning. This program provides support to state and local chambers of commerce to implement new work-based learning programs that connect students with academic and experiential learning opportunities in their community, aligned to the economic needs of the region. Today’s students are tomorrow’s leaders. They are future innovators, disruptors, job creators, and entrepreneurs. They will invent new technologies, launch new enterprises, and cure terminal diseases. That's why businesses are committed to bridging the gap between policy and practice. Because of this commitment, today’s students will have the skills needed to move America forward. Achieving Tomorrow’s Voices highlights the impact educators, administrators, community leaders, parents, and businesses can have when they join forces to help students succeed. Visit the website to hear stories from Alabama, Arizona, Illinois, Kentucky, Minnesota, Nevada, and Texas. When you get there, subscribe to stay up to date as new communities are added. 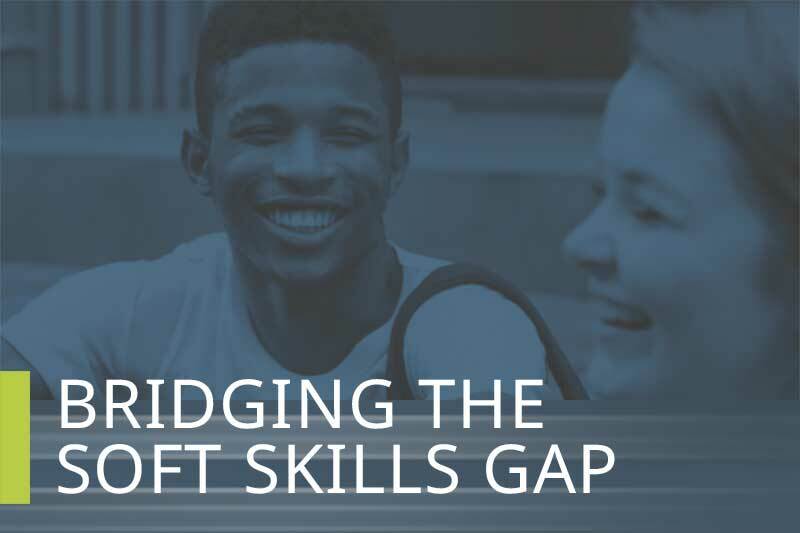 Despite U.S. high school graduation rates reaching all-time highs, many employers are finding that recent graduates are unprepared to succeed in the workforce because they lack foundational “soft skills.” Bridging the Soft Skills Gap (2017) makes the case for partnerships between the business and education sectors and outlines strategies already being used successfully across the country. It offers practical recommendations for businesses seeking to make an impact and profiles five successful partnerships established by Nike, Ernst & Young, Wegmans, Wynn Las Vegas and the Northern Kentucky Education Council. 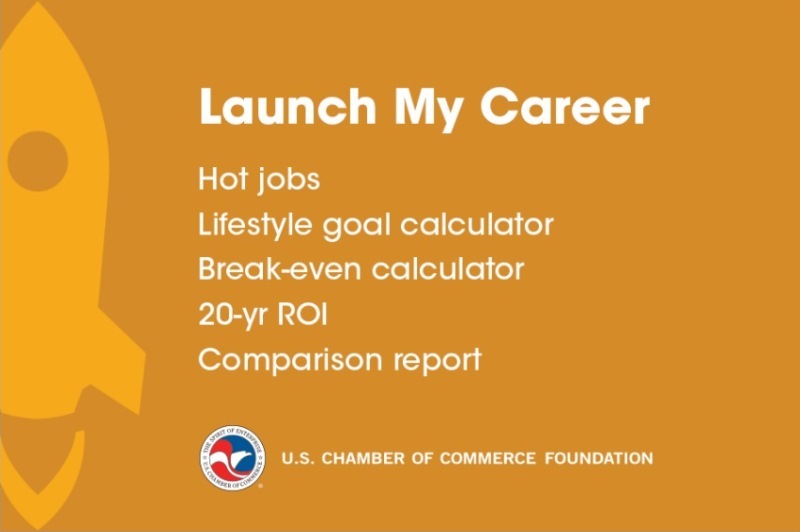 Developed in partnership with the American Institutes for Research, Gallup Inc., and USA Funds, Launch My Career is an interactive web tool (currently for Colorado, Tennessee, and Texas) that provides students with information about the return on investment in a certificate or degree from public postsecondary schools, including technical schools and community colleges. The purpose of the tool is to measure college value to help students and their families, policymakers, and postsecondary institutions make more informed decisions about the training and skills that provide the greatest value to students and their communities. From 2007 through 2015, a state-by-state series of reports measuring educational effectiveness and innovation, for both public postsecondary and K-12 schools. Interested in sponsoring the continuation of this work? Contact us.